Now and then we have a request for blue flowers. 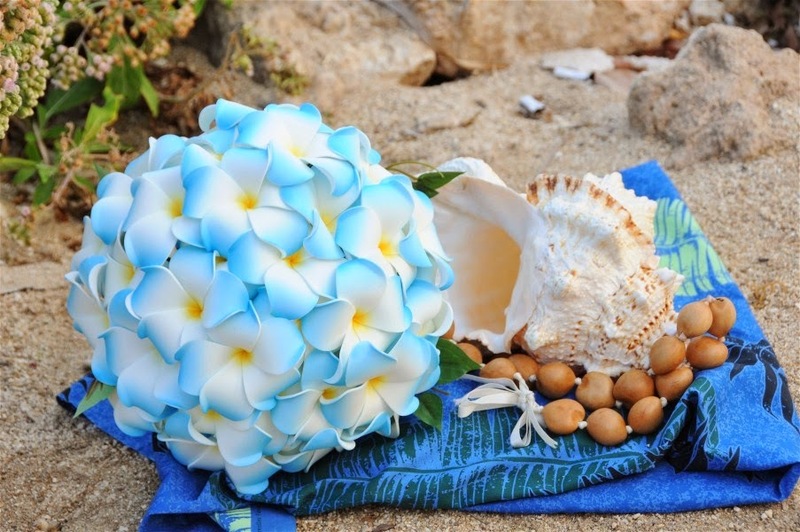 This blue plumeria bouquet is made of silk flowers, but it looks beautiful! You may keep this bouquet forever. Plumeria is also called "frangipani". Very few tropical flowers come in blue naturally, if any, so we use silk flowers.